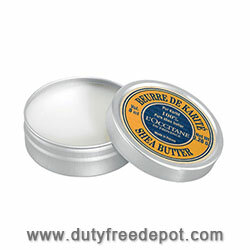 100% natural origin, certified organic, L'Occitane Pure Shea Butter is extracted from wild kernels of Shea tree fruits. Enriched with antioxidant vitamin E, L'Occitane Pure Shea Butter is an ultra-nourishing spot treatment to soften even the driest skin. Use on elbows, lips, cuticles, feet, and even hair!